David Lynch was by no means the first master of cinema to leave his mark on the small screen. When Twin Peaks originally hit the air back in 1990, it was a big deal, a network TV show in the hands of a filmmaker acclaimed for his cinematic output. It's naive however to talk about TV in pre and post Twin Peaks terms, as long before David Lynch applied his vision to the gogglebox, a slew of cinematic giants had produced great work for the small screen. Here we look at 12 filmmakers who gave us memorable TV in the decades before the premiere of Lynch's cult show. Prior to becoming a figurehead of New American Cinema in the '70s, Altman had spent most of the previous decade helming episodes of hit shows like Alfred Hitchcock Presents, Combat! and Bonanza. When his big screen fortunes began flagging in the '80s, Altman returned to the small screen, directing TV movies like The Laundromat, Basements and The Caine Mutiny Court Martial. It was his 1988 HBO series Tanner '88 that saw Altman exploit the potential of cable TV. The 11-episode series followed Altman regular Michael Murphy as Jack Tanner, a politician attempting to secure the Democratic nomination for the presidency. Shot and broadcast during the real life run up to the Democratic nomination, the show saw Altman work under incredibly tight deadlines, often delivering a final cut to HBO mere hours before the show was due to hit the airwaves. The fake documentary style of Tanner '88 was revolutionary for US TV at the time, but its influence can be seen now in everything from The Office to Parks and Recreation. Known for his cinematic visuals and extreme violence, the Italian master of terror seems wholly unsuited to working in TV, but in 1973 he oversaw a four episode anthology series, Door into Darkness, for Italian TV. Under the pseudonym Sirio Bernadotte, Argento wrote and directed the best of the quartet of suspense tales, Il Tram, an inventive hour long Hitchcockian thriller in which a detective attempts to figure out how a woman was murdered on a tram without any other passengers witnessing the act. In 2005, Argento would return to the small screen for the fun Italian TV movie Do You Like Hitchcock? and two episodes of the anthology Masters of Horror. TV movies were all the rage in the '70s, and prior to his big screen breakout with 1977's Saturday Night Fever, Badham directed some of the most distinctive movies intended for living room viewing. Penned by TV writer extraordinaire Lane Slate, 1973's Isn't it Shocking? is a brilliantly quirky thriller following Alan Alda as a small town sheriff investigating a series of murders of OAPs, all while enjoying some fabulous chemistry with co-star Louise Lasser. A remake of French shocker Diabolique, 1974's Reflections of Murder excellently updates Clouzet's film to '70s America, with a trio of compelling performances from Tuesday Weld, Sam Waterston and the under-rated Joan Hackett. The same year Badham helmed The Gun, a critique of America's gun laws that follows the life of a firearm as it's passed around various owners. In recent years, Badham has returned to TV, with a run of eight episodes of Supernatural in 2016. A giant of the screen, Bergman worked in the world of TV as much as cinema. In 1957, the same year as his international hit The Seventh Seal, the Swede made his first TV movie, Mr Sleeman is Coming, and would regularly return to the small screen in the following decades. Though many global viewers experienced it as a condensed, theatrically released feature, 1973's Scenes from a Marriage was initially aired on Swedish TV as a six-part miniseries. 1982's Fanny and Alexander was originally conceived as a four-part TV series, and though it was released theatrically in a shortened 188 minutes version, it was later aired on TV in its 312 minutes entirety. Following Fanny and Alexander, Bergman would continue working exclusively in TV for the remainder of his career. Unaware of just what a hit 1978's Halloween was set to become, Carpenter agreed to deliver a pair of movies for the small screen. Someone's Watching Me! is a gripping De Palmaesque thriller that cleverly twists the premise of Rear Window on its head. The director may not be known for his female characters, but Lauren Hutton's protagonist is a compellingly quirky presence here. The next year saw the director pay tribute to one of his musical heroes with Elvis: The Movie, an enjoyable biopic anchored by a star turn from Kurt Russell, who would enjoy many a fruitful collaboration with Carpenter in the following decade. Carpenter returned to TV for the 1993 anthology Body Bags and a pair of episodes for 2005's Masters of Horror series. Few filmmakers were as prolific as the German wunderkind. While pumping out an average of two movies a year over the course of his brief career, Fassbinder also worked heavily in German TV, directing no less than 14 TV movies and two series. Despite the restrictions of the small screen, Fassbinder never compromised his trademark style in his TV films, which are largely indistinguishable visually from his theatrical features. The most acclaimed of his TV movies is the prophetic 1973 sci-fi drama World on a Wire, while his 14 episode 1980 series Berlin Alexanderplatz is regarded as one of the small screen's finest ever achievements. 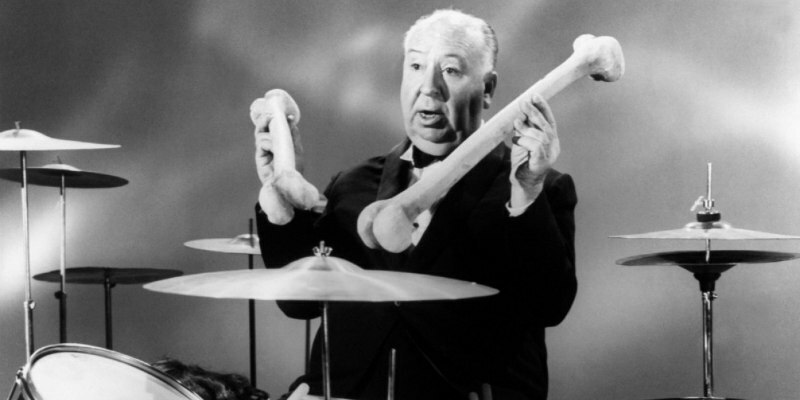 Though his work stands for itself, the reason Hitchcock is cinema's most recognisable filmmaker is largely down to his weekly appearances in living rooms introducing his Alfred Hitchcock Presents series, which began in 1955 and ran for 10 seasons. Along with such high profile guest directors as Robert Altman, Ida Lupino and William Friedkin, Hitchcock directed 17 episodes of the show himself, most memorably the 1958 installment Lamb to the Slaughter, which starred Barbara Bel Geddes as a killer who gives new meaning to the phrase 'meat is murder'. Hitch also directed episodes of anthology shows Suspicion and Startime. The director of the controversial Texas Chain Saw Massacre may not seem the most suitable filmmaker to work within the confines of American network TV, but in the winter of 1979 Hooper terrified small screen audiences with his unforgettable adaptation of Stephen King's Salem's Lot. Playing over two nights, Hooper's mini-series captured the essence of King in a way so many other filmmakers have failed to in the decades since, successfully transferring the very European vampire mythos to a modern small town American milieu. Thanks to the terror generated by Hooper, a generation of kids would never sleep with their windows open again. The Polish filmmaker had made TV movies earlier in his career, but it was his 1989 series Dekalog that, a year before the debut of Twin Peaks, would make film critics sit up and begin to take notice of the potential for arthouse auteurs to create great work on the small screen. Over 10 hour long episodes, Kieslowski explored each of the biblical ten commandments as they affect the lives of a disparate group of Poles on a large housing estate. Initially difficult to see outside of its native Poland (international audiences will be more familiar with the two episodes expanded for theatrical release, A Short Film About Killing and A Short Film About Love) the series now regularly tops critics' lists of the greatest ever TV shows. He may be considered a cinematic force today, but back in the '80s Mann was known best as one of the forces behind the ephemeral cop show Miami Vice, which reflected and inspired the decade's fashion, and incorporated popular music in a way no show had done before. At the time, the show was largely dismissed as little more than trashy fun, with TV commentators overlooking how it introduced cinematic techniques like montage and handheld camerawork to the small screen, influencing more highly regarded cop shows of the '90s like Homicide: Life on the Street and NYPD Blue. Mann also gave us one of the '80s best TV movies in LA Takedown, a taut cops and robbers thriller that he would later remake for the big screen as the acclaimed Heat. As a young prodigy under contract at Universal, Spielberg kicked off his career by directing a variety of TV shows, including a memorable Columbo episode. It was his 1971 TV movie Duel that gave the director the chance to show the world the master filmmaker he would soon become, a tense man vs motor road thriller that's as cinematic as anything in his filmography, so much so that the film played in cinemas in Europe. Also recommended is his 1972 small screen shocker Something Evil, a haunted house tale that plays like a dry run for Poltergeist a decade later. The ultimate renaissance man, by his mid-twenties Welles had mastered the stage, radio and cinema, but it took a while before he would begin to dabble in TV, mostly in front of the camera, exploiting his unique presence as a presenter. In 1968, with Welles finding big screen opportunities increasingly harder to come by, the director was offered the chance to helm an hour long movie for French TV. The result was The Immortal Story, in which Welles also starred alongside Jeanne Moreau, a postmodern tale of an aging millionaire's attempts to recreate a story he once heard. The first colour feature from Welles, The Immortal Story was released in cinemas across Europe.